The Thermostat sets a programme based on your daily routine, so that you heat only when needed. Use the graph in the App to track your consumption and get personalised advice with your Energy Savings Report. Use your Netatmo Thermostat to change your home’s temperature, from your bed or from the other side of the world remotely with your smartphone, tablet or computer. With the Netatmo you can save 37% on your energy consumption and reduce your carbon footprint. Every month, you receive your customised Energy Savings Report. The report will help you track your consumption and adjust your heating schedule for optimal savings. Auto-Care function: notifies you of a problem with your heating system’s operation. 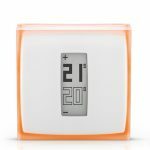 The Netatmo Thermostat is designed by Starck. You can personalise yours by selecting from 1 of 4 colour adhesives provided to suit your home interiors. 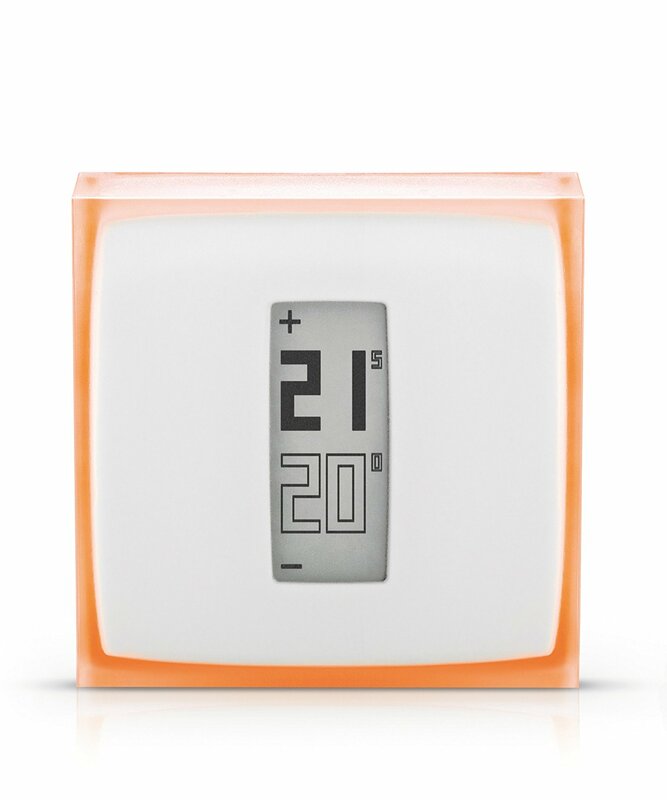 The Netatmo Thermostat can be installed in less than 1 hour. It can be placed on a table (wireless) or mounted on the wal (wired). Works with Apple Home Kit. Amazon Echo and IFTTT. It is compatible with gas-, oil- or wood-fired boilers and heat pumps. I found it pretty easy to install the Netatmo thermostat. But if you’re unsure, it’s definitely best to just hire a professional. I’m really happy with mine. Unfortunately, it doesn’t have geofencing so it doesn’t know when you leave, but you can set a schedule and it knows the local outdoor temperature and can plan accordingly. It connects with other devices and makes life easier! The product is good, but I had nothing but terrible customer service. Couldn’t even find a phone number to contact them, only email, to which I barely got any replies. Again, the thermostat is good but if you have problems just return it. All around a good thermostat. The physical design is very simplistic. Everything to control thermostat is through the app, which can be frustrating at first. Sometimes it’ll freeze up, not respond, or drop connection. After the app does connect for the first time you’ll be asked a few questions and setup an account. Beyond that it’s really easy to control with lots of options. For the cost you don’t get anything super fancy, but it works just as well as any other smart thermostat. Netatmo provides heating controls to save money and full scheduling options. It’s true the device doesn’t have geoforcing. I’ve found that you can use the IFTTT app for it’s location detection controls and create a makeshift geoforcing that way. Not as effective as other smart thermostats though. So far I can’t complain. It’s certainly not the greatest, but it gets the job done.